If you’re trying to design a landing page or some other web page and you wanted a quick and easy way to see which font pairings work best, then this plugin is for you. 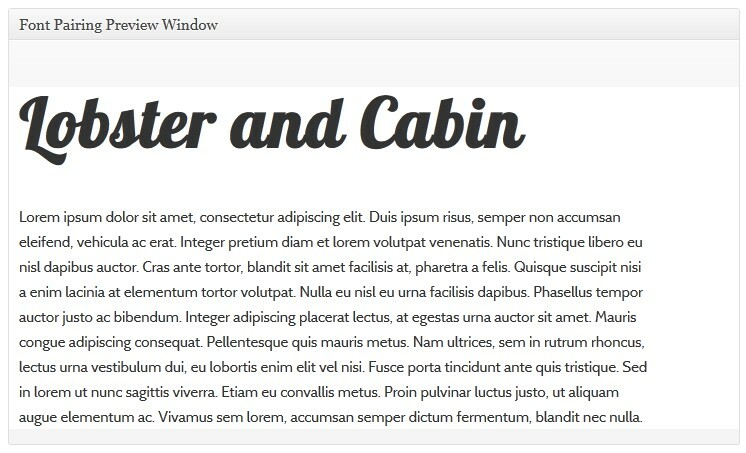 The Font Pairing Preview plugin allows you to specify and experiment with any of the font families available in the Google Web Fonts directory. You can use this plugin as a handy landing page creation tool to optimize the typography of your webpages or simply as a great guide for researching typeface pairings. Plugins->Add New page in the WordPress administration panel. 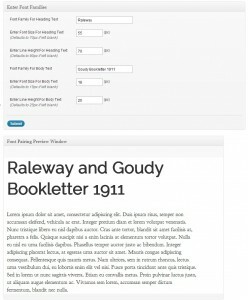 Activate the wp-font-pairing-preview plugin through the ‘Plugins’ menu in the WordPress administration panel. Useful tip: Try to use the Firefox browser when using this plugin because I’ve noticed that the font previews look a lot more smoother and sharper than they do in the Chrome browser. 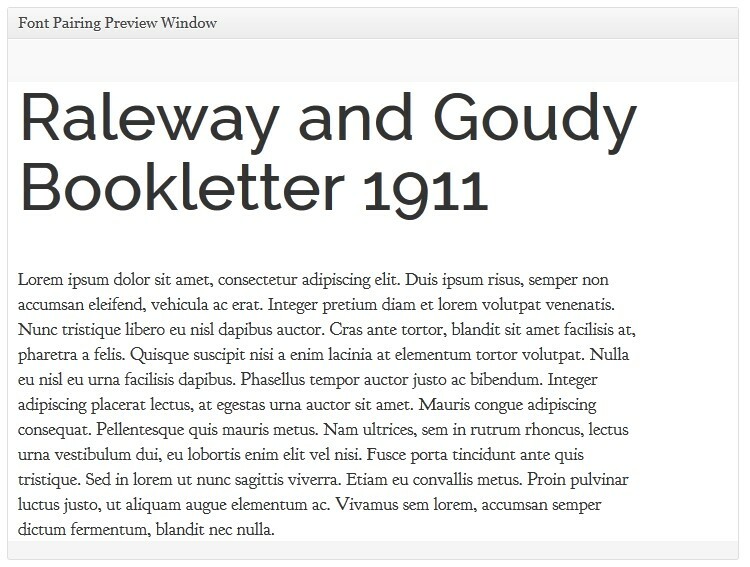 b) Enter the required font details for the heading and body as shown in the image below and then click the “Submit” button to view the font pairing preview. You’ll note that the plugin has a handy auto-complete functionality as you start typing (see circled element 1 in figure above). This makes it easy for you to choose an appropriate Google font type without having to look it up or remember the spelling. When you click the submit button the “Font Pairing Preview Window” section will display a preview of your font selections and settings. Thanks for this lightweight and useful little plugin. Are you planning on adding more features in future? This is a very useful plugin in terms of being able to quickly see which fonts work best. However can I please request that in some future version that include a way to automatically apply the google fonts to certain pages or areas of a site? Good suggestion and I have been thinking of the best way to achieve this. I hope to introduce some kind of capability which will add the google fonts automatically to your site in a not too distant future release. Looks like a great list of available fonts but how to know what they look like so you can pick one. Is there no preview? or am I missing something? 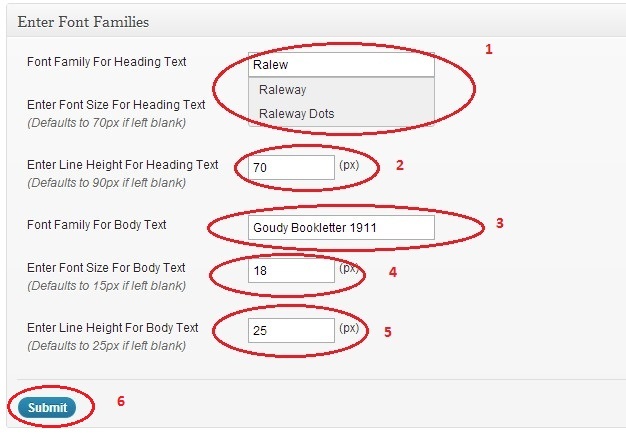 there is a preview window in the plugin settings page where you can view and contrast the fonts for the title (heading) and the body. So after you did all of this submitting, then how do you get the fonts to change on your pages? I am so new to webdesign… God I am struggling. Please see the following post which will explain exactly how to do this. Hi. Please help me understand how to use the Font Pairing within the pages I created. I’m a little lost. I’m using my Beta site at the moment to make the changes so none of the updates is on the production website. I wrote a small tutorial about how to add google fonts to your wordpress site. If you've found my plugins or site useful and you would like to show your appreciation, please leave a donation.